Forest Garden Dip Treated Overlap Pent Large Outdoor Store: The Forest Garden outdoor storage unit is a wonderful garden building perfect for storing items without taking up too much space. 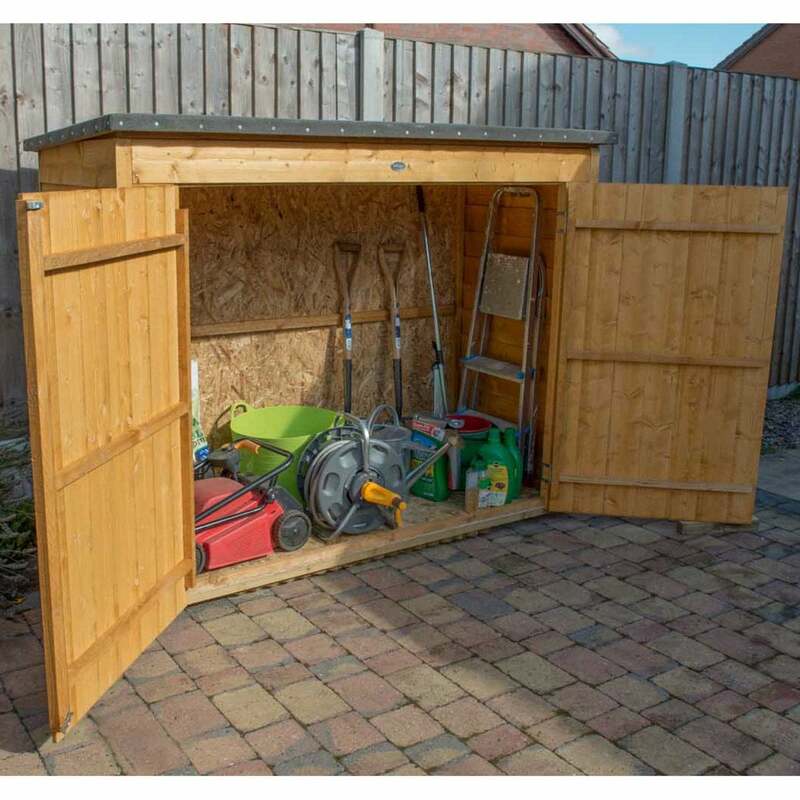 The Pent Store has a base of over 6 foot wide to offer a large amount of storage capacity, ideal for storing bikes or larger outdoor items such as lawn mowers or garden furniture. The large garden store is constructed in the UK using traditional overlapping FSC certified timber, the boards are dipped in anti-fungal solution to provide a surface treatment against rot for a golden brown finish colour. The Forest Garden storage unit features wide double doors for easy access when manoeuvring items and includes a plate hasp and staple closure for when not in use.